Today, I’m talking with Drake Procerus from Danele Rotharmel’s new book, Time Search. Time Search is the third book in The Time Counselor Chronicles. Drake, it’s nice to meet you. Thank you, Lisa. It’s nice to be here. I’m anxious to tell my side of the story. Villain? You think I’m the villain? Drake, please sit back down. Drake, I asked you to sit down. (Long pause)(Smiles) Of course. I’m sorry, Lisa. Take your hand out of your pocket! If you pull a knife, security will be here in a flat second. Smart, aren’t you? But not smart enough to have security frisk me before this interview. Thank you. That’s better. Now, can you tell me why you’re so angry with TEMCO? Didn’t those stupid TEMCO clones tell you? I’d like to hear your side. That’s why you’re here. In that case, I had one good person in my life. One! And those TEMCO “heroes” took her from me! She was everything—everything—to me, and after they “time counseled” her, she never spoke to me again. They destroyed my life when they brainwashed her! Are you referring to your ex-girlfriend? Who was she? What was her name? Are you trying to pump me for information? Did Crystal Stuart put you up to this? Or was it Zeke Masters? Are you working for them? I’m simply conducting an interview. An interview in which you agreed to participate. Like fun, you are! You’re a TEMCO spy—and not even a convincing one! If TEMCO wants to find out the name of my girl, and if they want to know who I am, they’ll just have to figure it out for themselves. I’ve provided them with all the necessary clues. They’re just too stupid to put the pieces together. They deserve what’s headed their way. They’re morons! No… She’s not. (Pauses) She’s a problem… Luckily, I know how to deal with problems. Are you threatening Crystal’s safety? (Smiles) I’m just talking. Friendly-like. No need to get worried. You’re eyes look strange. They have a silver gleam. (Chuckles) It’s just the lighting. You need different bulbs. No need to worry. Ask your next question. Why did you kidnap Phoebe? Precious Phoebe was just a stupid squirrel in the road. If a squirrel gets on the highway, it deserves to be flattened. I needed bait, and she made herself so available. What happened to Phoebe was her own fault. But she escaped, didn’t she? She defeated you…. Drake! I told you to stay seated! What do you know about Phoebe? Do you know where she went? Tell me where she is! Tell me now! Drake, put down that knife! Security! Security! Ms. Lickel, I’m Agent Ruthford. Are you okay? Where’s Drake? I’m fine. Drake broke the window and escaped through it. He ran down the street toward the left. One of the security guards went after him. You may be able to catch him if you hurry! Readers, I’m sorry that we have to cut this interview short. But I’m afraid that Drake has left the building. I’m also afraid that he’ll never be let back inside of it! It’s an international peace conference gone horribly wrong. Young adults who have shown initiatives in peace ventures in their communities, who are actively involved in promoting peace, reconciliation, and acceptance of Christian and Muslim cultures living side by side have been invited to the United States to share with each other and learn new methods of reaching out. Most of them don’t realize how far they have to go until they are forced to unite in order to survive. 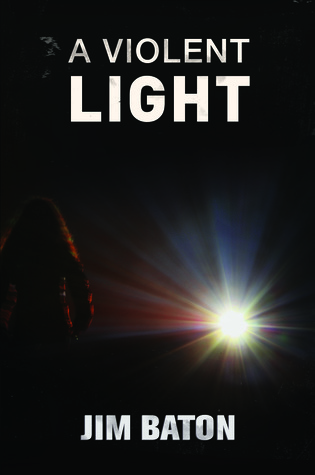 A Violent Light is the third book in a series, however each of the books is capable of standing on its own. I read the second book before the first, and while the author follows the story of Sari, a young Indonesian Christian, it’s not crucial to know what goes on before. While the characters are well planned, as in most thrillers the story is plot-driven with events that propel the reader to turn pages, cringe, and cheer. And pray. A lot. This story is unfortunately too real, told by someone who has experienced these issues. On one hand, I can’t believe humanity can overcome our differences; on the other, Baton’s dream of rising above our sinful natures is mine, too. I can hurt for those who are stuck in mental illness because I know being earthbound is only temporary and I long for the better country. I read fiction mostly for entertainment. I’m not honestly certain that I would have picked up this book on a whim, but the author’s background as a missionary in Indonesia makes the first and second stories pop. While it’s necessary for the evil in this third book set in the US to be somewhat cliché, the author has also shown an understanding of the difference between shock value and those who truly believe they are on the right hand of God and will murder to prove it. I still call such skewed devotion mental illness. Stellar writing is important to me, and this author has done another excellent work. Those who love controversy, action, gruesome realities, and a good mystery thrill ride with action jumping between scenes will like Baton’s books. They are a true torn from the headlines look at the world today, and with A Violent Light, at America and its rotten layer of racism and biblical misinterpretation that must be overcome by the true power of dignity and self-sacrifice and love. JIM BATON has spent the last 20 years in the world’s largest Muslim nation, building bridges between Muslims and Christians who both desire peace. His speaking and writing call people out of fear and into authentic friendships that can change the world. 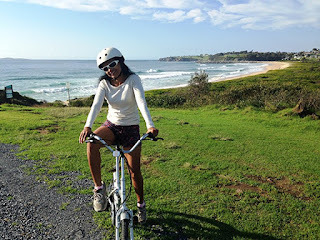 Please welcome Sana Edoja from France. Sana is a former atheist who found the Lord and shares here experience of living the Christ-filled life through her writing. 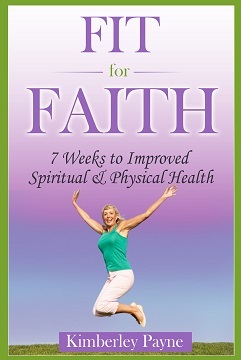 Her books are KNOWING GOD and the recently published A LIFE TRANSFORMED. "It took me more than twelve years to finish writing my book A Life Transformed," Sana says. "Actually, I started writing it before my son was born. He is eleven years old today. I didn't understand why I added more writing and editing for all those years. God taught me perseverance in receiving emotional healing through those years. I had to get my emotional turmoil out of my system by sharing it with the world. It was therapeutic in revealing the power of God's transformation in my life. I'm reading a book called Supernaturally Natural from a French pastor. It is teaching me how to be more spiritual on a daily basis. 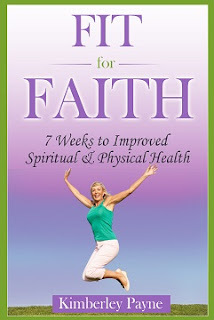 I'm planning on promoting my book A Life Transformed and writing more articles on my blog. I'm taking a break from work to strengthen myself with God. I'm learning my identity in Christ and the importance of building my confidence in God's presence. I've recently graduated in becoming a jobseeker adviser. It is a tough for a beginner when you are confronted to professionals' criticism. During my intimacy with God, I listened to His words of healing and encouragement. God helps me to have a sense of comfort, unconditional love and protection. I've enrolled in a Bible course as we are perishing without God's knowledge. I'm working on dealing with my pride in order to become more humble. I'm focusing my thoughts on the word of God in order to make any progress in fulfilling the plan of God for my life. Come back on January 31, February 14 and March 14 to meet three of the most intriguing characters from the series! This third book in the Time Counselor Chronicles is outstanding. Events set in motion already from the first book swing like Poe’s “Pit and the Pendulum” across Time Search. A case of counseling ripples gone badly wrong take the time counselors by unfortunate surprise. One foe from the past vows revenge as he patiently and coldheartedly works his way through time to set himself up in prime positive to exact his brand of punishment on those who separated him from his girlfriend. We’re not given much more to go on, and the author takes us on a thrill ride as her villain stalks the TEMCO agents, taunts federal agents, and leaves death and the nearly dead in his wake. The thread of forgiveness, faith, love and hope runs through all of the stories, and is shown with precious clarity in several of the storylines. One huge question for thought is, if you know something bad will happen to someone and you have the power to prevent it but at great cost to others, what would you do? Likewise, if you knew someone could have prevented an outrageous attack but didn’t, what would it take for you to forgive? I love those great juicy chunks of food for thought. At first I was going to write that readers can pick up a Time Counselor book in any order, but the cliffhanger at the end of Time Search made me change my mind. This is also the first book that I felt at home in, and where the characters felt familiar. Therefore I do recommend reading the books in order to learn about the setting. You cannot be a stickler for complexities of time travel or any “rules” of physics, however—suspend your disbelief to have a jolly good time. The cast is large and complex, but distinct. Pair a quirk with a name and you’ll do fine. Told in multiple viewpoints and often in very short segments, readers who like contemporary stories of thrill, crimes, romance, forgiveness and faith in a series like Steven James’s Bower Files, but with more biblical reference and funky characters, will like these books. Little Merri Randall is all grown up in this new series from inspirational time master Deborah Heal. She’s followed her dream of becoming a young PhD history professor at a southern Illinois college. It’s been years since her childhood encounters with a dangerous and mysterious software program called Beautiful Houses. When she accidentally? rediscovers the program not only still exists and is just as active as ever, curiosity overcomes her good sense and she is once again drawn back to explore time. Merredith uses the program to help her in both her work and private side business, researching family history. She has grown up reluctant to share herself with others, a definite lack of trust in others and even to a certain extent her own abilities and gifts. When the physics professor sets his sights on her, Merri has a lot to overcome, especially her teaching mentor, to believe anyone might be personally interested in her. Told from Merredith’s viewpoint throughout, this story and series is a history lover’s dream. Because the character is a professor, her lectures that include blocks of rote history are a natural part of the story, as are the fascinating dialog sharing dates and people. Merri’s trips through time provide a virtual visit to experience life in the late eighteenth century literally through those people’s heads. Just a fascinating series with excellent research. While science is not discounted, the details of the software’s ability to provide virtual time travel experience for the user doesn’t hinder the reader. The books are part of a series, and while a reader can pick up any story and read it with enough information from the past books to make sense of the particular story arc, you’ll want to read the whole series. I know I will. Recommended for those who love plucky wounded females with a side of romance while reading their history. When rodeo superstar Mix Malone announces he’s retiring from the bull riding circuit, his family is furious. Mix is tired, hurt, and disillusioned, but broken bones and concussions are not good enough excuses for quitting, according to his family whose fortune is built on Mix’s success. They’ll do anything to keep him riding. Blossom Deavers has always told her special education students to follow their dreams—but finds herself faltering in her own attempts to run the Outlaw Café. Making it work is a lot tougher than she’d ever imagined. She has no time or energy to waste on good-looking superstars who seem to have it all. But when Mix Malone staggers into her café and passes out at a table during the blizzard of the century, she is drawn into a family brawl with no holds barred. Blossom discovers that she can’t just abandon him. Her already hectic life is about to get a lot more complicated when she sets herself against his family’s wishes and advises him to quit. Mad bulls and mothers from the pit color this cute gulp of a holiday read. 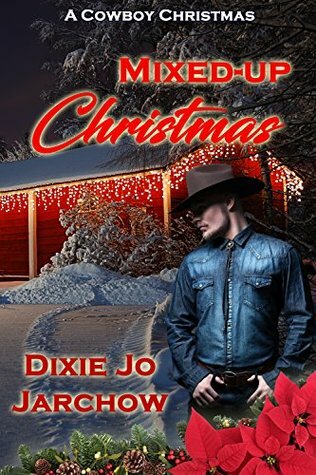 A family secret and all the wonderful smells of a coffee shop in cowboy country lend depth to a story where a busted rider and a worn-out former teacher have to haul themselves up by their bootstraps and punch out their dreams. Delightful scenarios, some twists, miscommunication, and machismo wash over everything. Two are always better than one when tackling life. After Amy ditched him for a man with more money, Matt isn’t about to tell Hailey that the fiddle he carries is a Stradivarius or that he owns a tuxedo. Let her love him for himself or not at all. 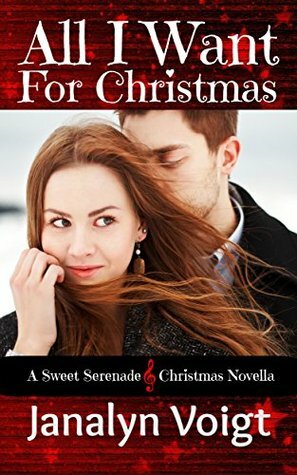 Quick and fun holiday bite of a read to keep your fun romance side going. A tale of mistaken identities, longing-for-more friendships, daily latte and office politics set in Seattle create a sweet story. The story of seeing what you want to see, having a hard time looking past your nose, and fearing failure and the future catch two people square at holiday time. Orphaned Hailey is good at her head job, but her artsy heart work may not pay the bills. If she was to fall in love, it would have to be with someone who won’t take advantage of her. Matt’s been burned a time too many and when he’s not being pursued for who he is, he can let his fun side out…only when confession time comes, he needs a stiff upper lip and the help of Hailey’s friend. When a stone is thrown...ripples are created... A woman who has lost her way. A man crippled by war. What brings them together also pulls them apart. Zara Peede's growing feelings for her patient, soldier Jack Quinlan, scare the Walter Reed Medical Center nurse. Jack, a double amputee, is as wounded in spirit as he is in body. Jack's pain reflects her own grief for her lost brother, a fellow soldier who died in Afghanistan. Does she truly care for Jack, or are both of them just searching for someone to hold onto through their pain? 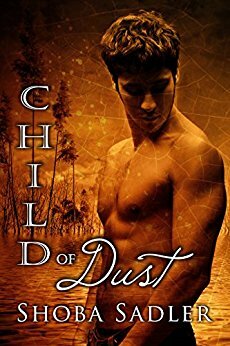 To find out-and in search of her purpose-Zara flees, leaving Jack with only a note and a gift she doesn't fully understand herself. A stone. 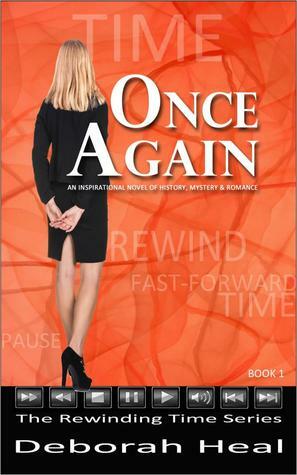 When Zara and Jack reconnect at an event in New York, they discover that some ripples last a lifetime. Will theirs? From the shocking opening sequence of events to a satisfying conclusion, Andrews’s new romance show her penchant for well-researched and well-resourced stories. Readers are drawn right into the world of pain and recovery, anxiety and grief and rehabilitation as Jack makes the decision to find wholeness. Zara, one of his nurses, decides to shift course when Jack becomes that last patient who makes her work too personal. She only knows her new independence must include making a difference for others. An idea takes hold for a non-profit business that rewards encouragement and positive actions of others. 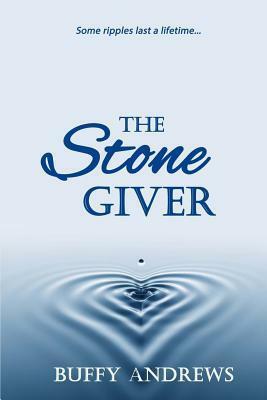 Zara learns that a life of building on the success and joys of others spread out a wave of hope. When Jack and Zara cross paths again, they are able to take time without pressure and stress and pain to explore a relationship. Told in multiple viewpoints, this mainstream story tackles real questions of double amputees. The characters and dialog are lifelike, and overcoming problems handled in an empathy-inducing manner. Sexual scenarios and some swearing, along with bar scenes, are a natural part of the story. Readers will experience all the sweat, blood, and nightmares of the recovery process.